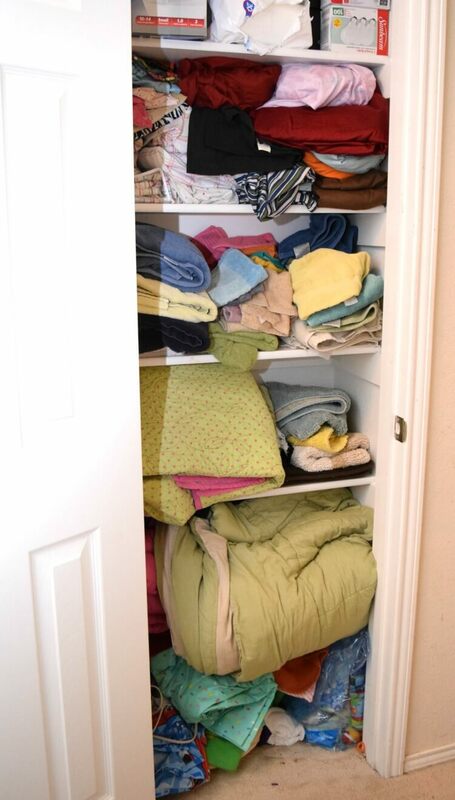 One of my biggest pet peeves is the linen closet in our home. For a four-bedroom house, we have a tiny linen closet. It’s like apartment size. 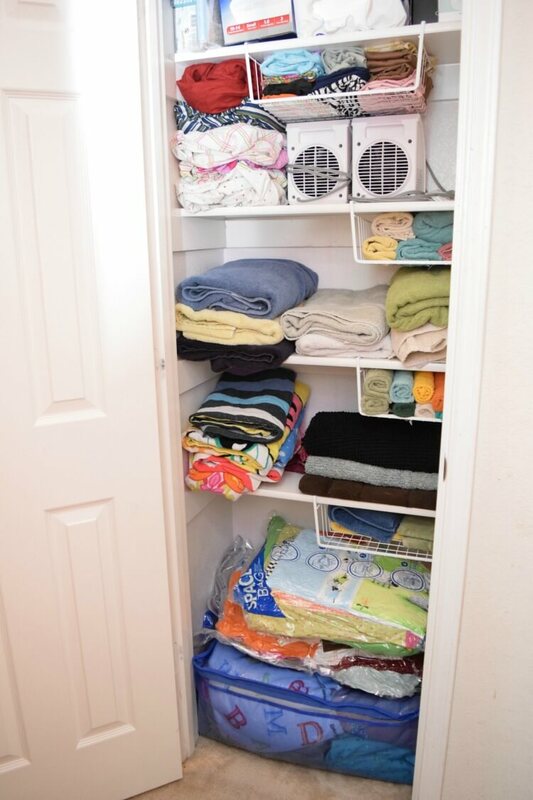 It can be quite challenging to fit all the towels and sheets, out-of-season bedding in there, and so much more. We needed a total linen closet reorganization. My children are great at helping to fold laundry and put it away. With such little room in the closet, they end up just putting things wherever there’s a space available. 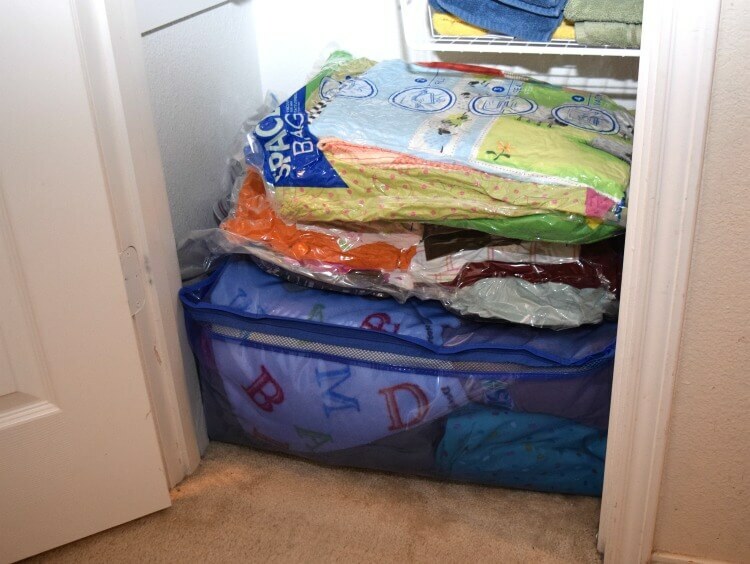 Often, fresh towels end up on the shelf with the sheets, wash cloths are falling on the floor, and the out-of-season bedding ends up bursting out the closet. I hate to admit it, but sometimes we have to forcefully push the door shut to get it to stay shut. I found my solution at Lowe’s. We were actually there shopping for a dog door, so my sweet Boxer dog can be a little more independent. Then, I walked past the organization aisle, and do you know what caught my eye? The Ziploc® Space Bag® products! They were so affordable, too. 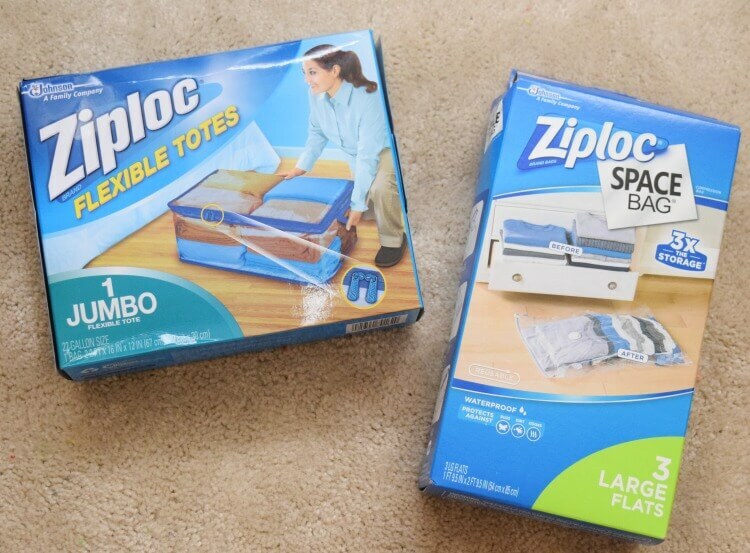 I picked up the Ziploc® Space Bag® Large Flat bags and the Ziploc® Flexible Tote in Jumbo size. I wasn’t quite sure how many bags I would need to get that closet in order, but I thought this was a great starting point. I also had some under-the-shelf hanging baskets I had planned to help organize the closet as well. When choosing Ziploc® Space Bags® make sure you pick the right bags for the right usage occasions. I decided the most important things to put into the bags were the out-of-season bedding like heavy quilts and extra comforters as well as all the top sheets. Everyone in my family prefers a comforter and just a fitted sheet on their bed. They all kick off the top sheets, so I had a huge stack of them just sitting in the linen closet. I was happy to see the Ziploc® Space Bag® Large Flat bags came in a three pack. My mom makes beautiful quilts, and I have so many of them. She had just given me several baby quilts we couldn’t quite use yet with the new baby, and I was able to have enough bags to use one to keep them safe. I love my mom’s homemade quilts and hope to pass them down to my kids, so I want to protect them. 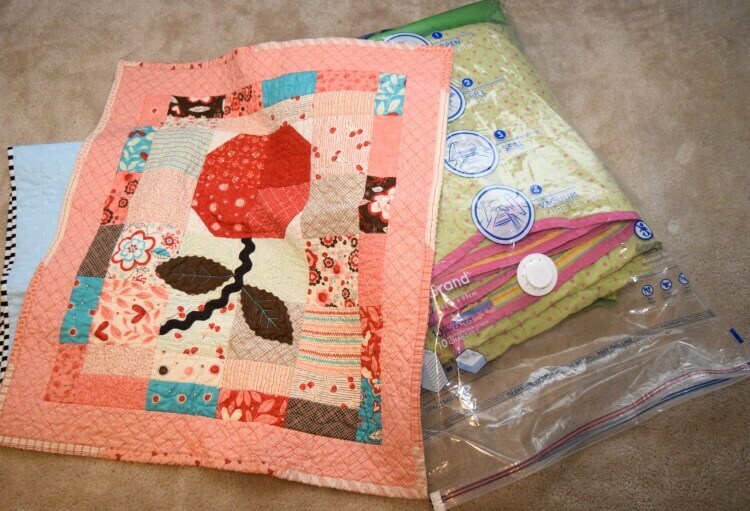 Ziploc® Space Bag® products are the perfect solution for heirlooms like quilts because they protect with a NEW film with shield technology that offers the toughest protection against bugs, moths, dirt, mildew, and other odors that might occur within common storage areas. These bags are so easy to use and are reusable, too! The instructions are right on the bag, and you just need your vacuum hose to compress them. The nicer and flatter you put the items in, the flatter you can get the bags. It’s just magical to see how much they shrink! 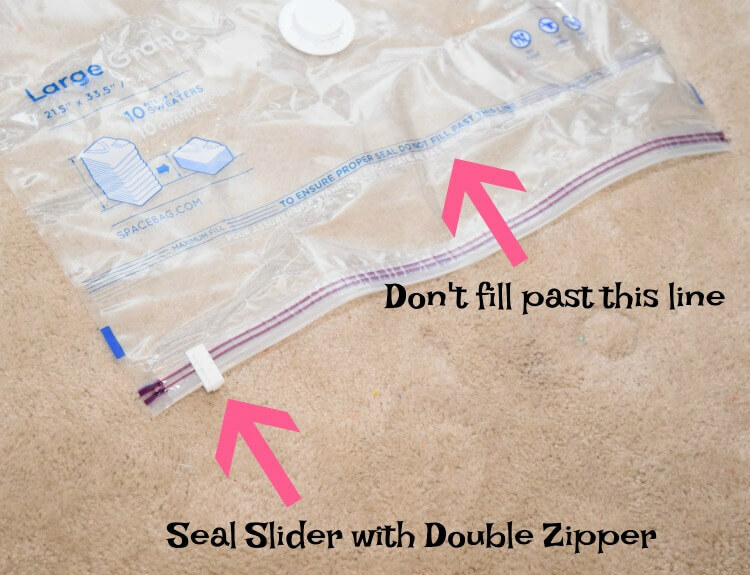 The Ziploc® Double Zipper with the easy to seal slider. 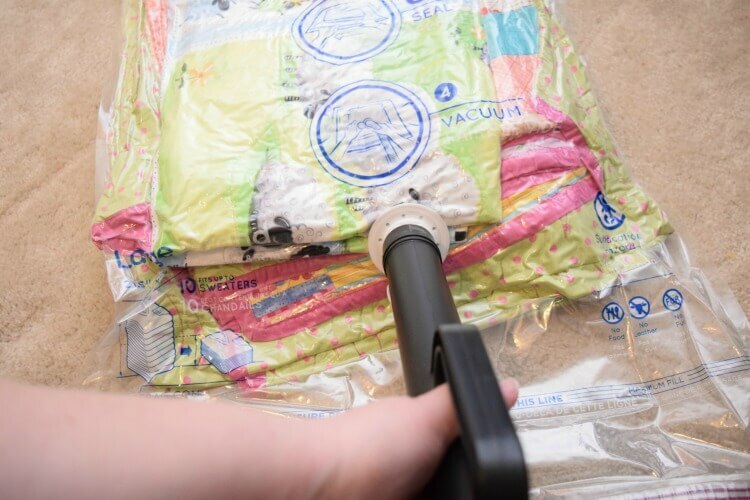 Make sure you have it all the way over so there is no opening when you compress with the vacuum. Don’t fill the bags past the fill line. They’ve found overfilling is the main reason when the bags don’t work correctly. The vacuum hose does not need to fit perfectly onto the valve for compression. My hose was a little small, but it compressed the bag easily. After getting all the bags ready, then I organized the closet with some under-the-shelf baskets. These were so helpful in freeing up even more space on the shelves. I used them for small things like pillowcases, wash cloths, and hand towels. Look how much I was able to sit in the bottom of the closet, and there’s still room for more! This is two large size Ziploc® Space Bags® as well as a jumbo Ziploc® Flexible Tote. These contain most of one of the upper shelves and everything that was on the floor of the closet. It’s just amazing how the Ziploc® Space Bags® provide 3x the storage as compared to uncompressed storage volume. You can get 3X the storage! Here’s the big reveal of the finished closet! Can you believe how much space there is? I have room to add the rest of our towels, and there was even room to store some extra space heaters for winter. I can’t believe how much room the Ziploc® Space Bags® were able to make. It’s just amazing! Here’s the Before and After! I just love my linen closet reorganization. Fitting things in the linen closet is no longer a horrible chore I avoid now. My kids think I’m crazy because I’m so thrilled with how organized the closet is. 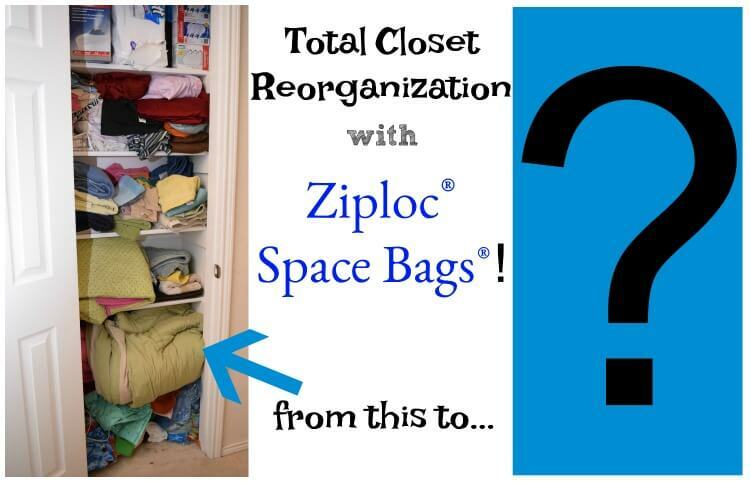 Now I need some more Ziploc® Space Bags® to organize their closets! Are you ready to get organized? Visit Lowe’s to get your own Ziploc® Space Bags®. You are going to be amazed at how much space you’ll have! Fun with Lil Fishys Motorized Water Pets! I love those Ziploc bags. I use them for my summer/winter clothes when it’s off season. Do convenient. It is nice to get organized, but, for me, that usually means I have too much crap. Before I think about organizing, I go through my items and decide what can be sent to Goodwill or sold online. 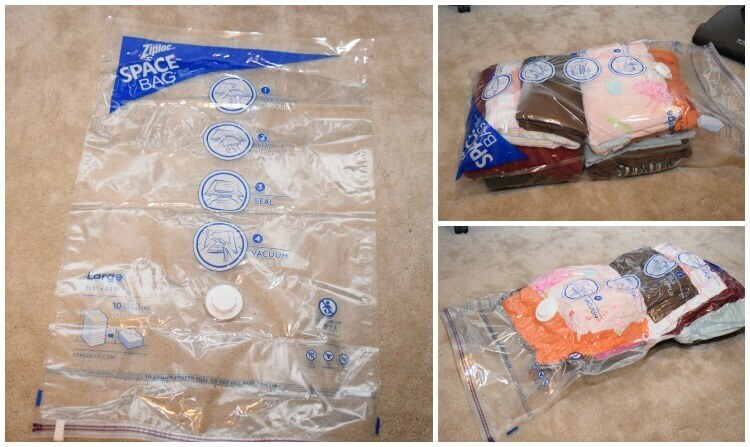 Oh my goodness what an amazing difference that has made, I had no idea ziplock did bags like this, so I am going to have to check them out and get some as our closet is a huge mess! 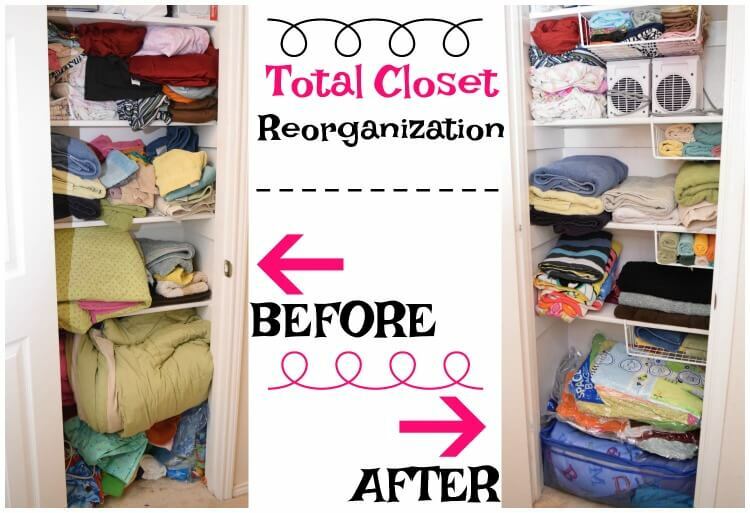 Your closet looks so much more organized. I need these for my linen closet because it’s out of control and I can’t ever find what I’m looking for. Oh wow, you just gave me some suggestions for my linen closet. I didn’t know Ziploc even had these big ole bags. I”ll have to pick some up on my next shopping trip because I’m on a kick to get organized before I start my traveling in a couple of weeks. Your closet looks so organized. I seriously need to try these! My closet is a mess right now with blankets and sweaters and winter clothes still on the hangers! I need these so bad. I have all the winter clothes sitting in laundry baskets waiting to be stored. My linen closet looks almost identical to your before picture. I don’t know what I would do without Ziploc bags. They keep so much of my life organized, thank goodness. 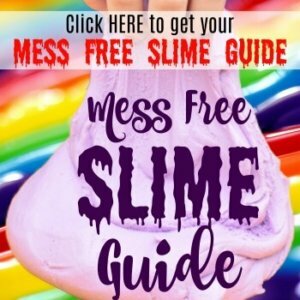 It is the perfect mom hack! I have some of those bags that I use to put my sleeping bags in. 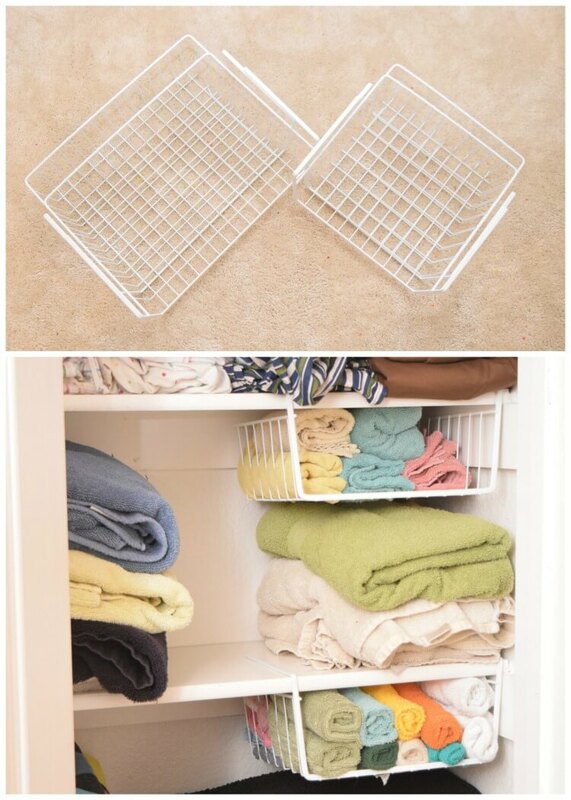 They are so great for saving space and I love that they are reusable. Sounds like a great way to stay organized. It’s great that your children are doing the best they could to help out. I need to get some Ziplock bags. My youngest son took on a great task of cleaning his bedroom and his closet. Some of the stuff I can keep and some are just going to be donated. I love that Ziplock bags are clear so you can see what you need in one glance. I absolutely love these bags! I had some (not sure if it was Ziploc) back in the day. They are lifesavers! I would love this to store all our winter bedding. They take so much space in the closet. My closets could definitely use some organization! Looks like I could use some Ziploc! Now this is a great idea! I have a linen closet I need to tackle very soon!